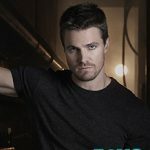 With Arrow now in jail we chat with Stephen Amell about what storyline twists and turns we should expect from this season…. 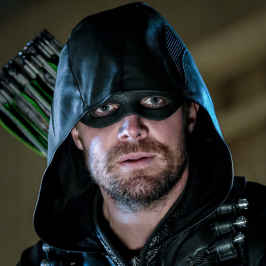 In the season six finale, Oliver Queen went to jail after declaring he was Green Arrow. 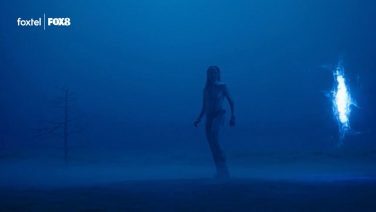 Where do we find the character at the start of season seven? Oliver is in prison with a bunch of people that he put in prison. It’s not good. It’s very bad. Does he have any allies in jail? No, he doesn’t. He’s on his own. Oliver is trying to keep his head down. He’s trying to manage his time. He’s taking it day by day, step by step. 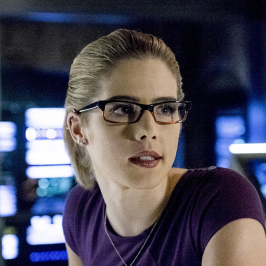 He hasn’t had any contact with Felicity [Smoak, played by Emily Bett Rickards]. He’s just trying to press on. On an emotional and mental level, how does Oliver cope with prison? He copes badly. Really badly. In the premiere episode of season seven, there’s nothing about him that’s heroic. It’s pretty much the opposite. Prison life is really tough. As an actor, I’m really enjoying myself. I’m having a really good time playing Oliver, but it’s been tough for the character. Ricardo Diaz [played by Kirk Acevedo] is still on the loose in season seven. 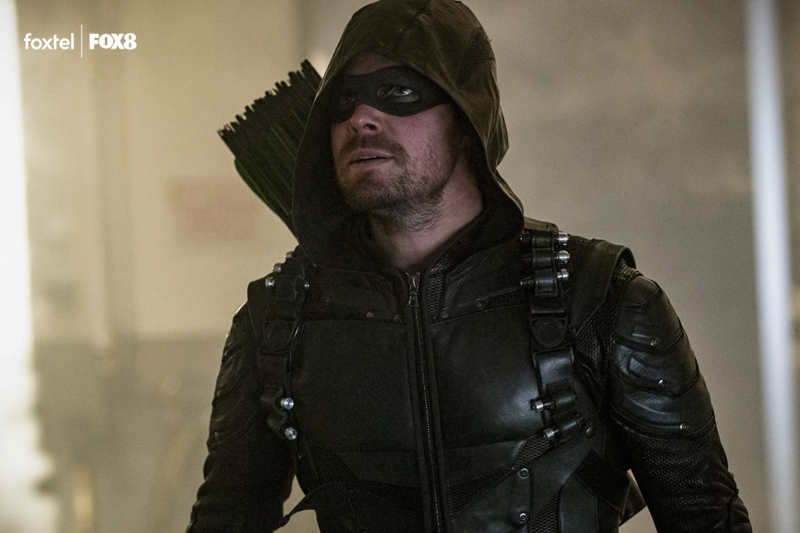 How does Oliver handle that situation from behind bars? Again… He’ll handle it badly. 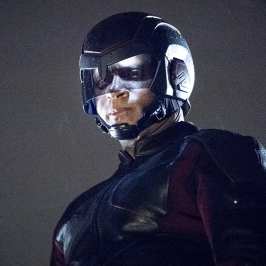 How does Oliver cope with being separated from his family and his team? Badly. That’s it. That’s my whole answer. He deals with everything badly! Can Oliver do anything for the good of the world from prison? Well, Oliver gets a little bit of a lead on Diaz in prison. He gets some information, but he gets it because he gets the sh*t kicked out of him. How would you describe a day in the life of Oliver Queen in prison? Is he constantly watching his back? That pretty much sums up his life behind bars. He’s in prison with a bunch of people that he put in prison, so he’s always got to watch his back. In some ways, the situation is great because we got some great people to come back to the show that we haven’t seen in a while. I’m afraid that’s a secret for now. I can’t say any names. Absolutely not. But I was very, very thankful that some of the people that came back came back. There are some people that we hadn’t seen in a reasonable amount of time, but that’s all I can say. It’s really cool to see them back in the show. Did you watch any prison movies to inspire your portrayal of Oliver Queen behind bars? Not really. In the first episode [of season seven], I took a lot of inspiration from our director, James Bamford. I don’t know how much of it will end up in the episode, but we did a lot of stuff where I stared down the barrel of the camera. There’s a lot of material from Oliver’s perspective. We really try to show that perspective this season. Will fans see a new side to the character in prison? You know what? The thing that I like about Oliver right now is the fact that he’s not heroic. In season seven, it’s the complete opposite of that. In the past, he was always the one to take charge and solve problems. He would save people. But that’s not what he’s doing in the premiere. 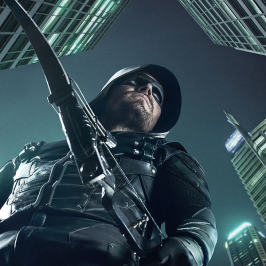 Will Oliver Queen’s abs make an appearance in season seven? There might be a prison workout scene! Yeah. I think there’s some abs. 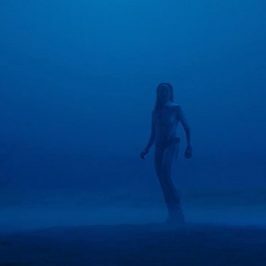 In fact, I think there’s some abs in the trailer. How long will the character stay in prison with all the craziness happening outside? Will he stick to that? Well, Oliver can break out of prison at any point in time. However, the terms of the deal he made means that he will stay inside. 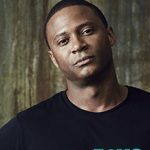 I talked about this a lot with [Arrow’s new showrunner] Beth Schwartz because I kept saying, ‘We know that Oliver can break out of prison at any point, right?’ No, he’s behind bars. He’s inside. And Oliver has effectively no contact with the outside world. His prison time is literally just that: prison time. Let’s look back at season six, Stephen. What was your standout moment from last season? Personally, I really liked the finale. I liked Oliver’s moments with everyone in that episode. My scene with Emily [Bett Rickards], where I’m telling her what I’m going to do. That was a highlight for me. And my last scene with Paul [Blackthorne, who played Quentin Lance] was another. Man, oh man… I get sad just thinking about it. That was intense, too. 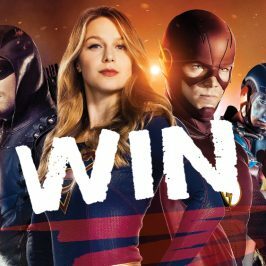 Looking forward… The CW announced the crossover between the Arrowverse and Batwoman at their upfronts event in May. How long has the crossover been in the works? They told me about it two days before the upfronts, but it was very exciting. To be honest, I was very thankful that they had me back for the upfronts. They don’t always bring back shows that are running because they often want to talk about their new shows. To be there and to make that announcement was really, really cool. I think it showed a lot of faith in me and I appreciate it. 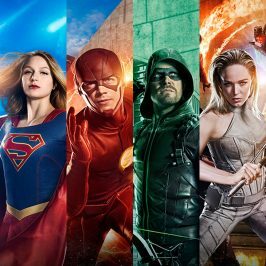 How does it feel to have an iconic character like Batwoman join the Arrowverse? It’s absolutely awesome. I don’t think this character has ever been done in a live-action project, right? That’s fantastic. I hope it’s great. I’m really glad that they’re doing a show with the character. I hope it works out. David Rappaport nailed the casting with Grant [Gustin in The Flash] and Melissa [Benoist in Supergirl]. Me? Maybe! But I’m sure he’s nailed the casting with Batwoman, too. it’s going to be fantastic. 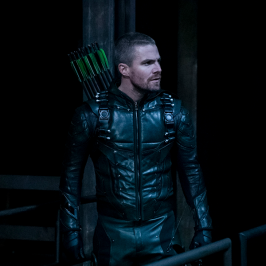 When Oliver finally gets out of prison, what are your thoughts on him meeting Batwoman? Wait… Oliver is getting out of prison? I don’t know anything about that. Hopefully he’ll be out of prison to interact with Batwoman. That’s a spoiler, right? Well, I’m very excited. I’m also very excited that they are considering doing a series with the character. I think that’s amazing. 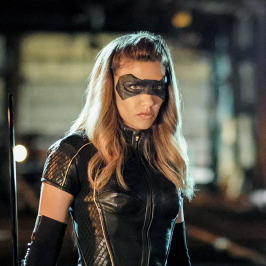 What can you tease about Oliver’s interaction with Batwoman in the crossover? Oliver’s interaction with Batwoman in the crossover is not the interaction that I’m most interested in. Then again, he has to get out of prison first. Apart from the appearance of Batwoman, what else can you tease about this season’s crossover event? What can I say? I feel like there’s a character in the crossover that nobody actually knows about yet, which is also very exciting. Watch this space.